Plan of Action: Contribute financial and supply support towards Ujamma Youth Farming Project. 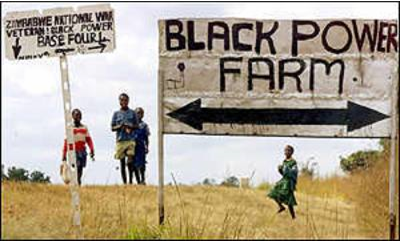 Zimbabwe’s land redistribution exercise benefited formerly marginalised groups like African women and African youth. However, resources were thinly stretched as the government had to battle with drought relief, an economy under siege from sanctions, lack of support from global lending institutions and a declining perception in the eyes of the world. Purpose of Action:Support Africa’s right to self-determination through feeding its own People. Established in June 2005, Ujamma Youth Farming Project (UYFP) is an African youth-led farming cooperative that has secured a 100-acre plot in the city of Gweru under the Zimbabwe government’s A1 resettlement program and is registered under the Ministry of Youth, Gender and Employment Creation. The leadership core of UYFP is a very socially conscious unit that despises poverty and desires greatness at family, national and continental levels. Our mission is to empower African youth through gainful farming initiatives so that they are able to demonstrate the essential skills necessary to function as lifelong productive citizens in Africa’s development. While one of our immediate goals is to offer produce to wholesalers and retail outlets in and around midland provinces in Zimbabwe, a longer term goal is to establish a training program such that youth of African descent from outside of Zimbabwe and even outside Africa will also visit, meet, train/work, and bond with their youth counterparts on the farm. Our mission is to empower Afrikan youth through gainful farming initiatives, so that they are able to demonstrate the essential skills necessary to function as lifelong productive citizens, through Zimbabwe’s agrarian reforms, and ultimately in Afrika’s development. In the city of Gweru in the Midlands province of Zimbabwe, a farming cooperative was formed and registered under the Ministry of Youth , which drew its leadership from former student leaders. Most of its leaders were leaders of student representative councils at institutions of higher learning. It is from their days in student unionism where we can trace their roots in pan-africanism.